This compact battery walk-behind sweeper will help you maximize your productivity when it comes to getting your floors clean. The S5 is compact and has a maneuverable design to allow you to get between and underneath those hard to reach areas. 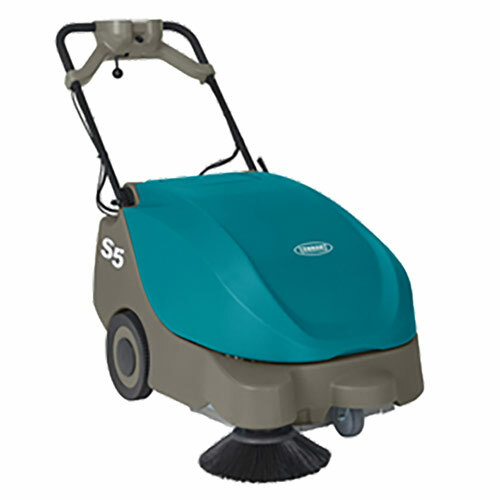 Use the S5 on hard or soft floor surfaces in your facility, and then use it to pick up that debris in the parking lot! 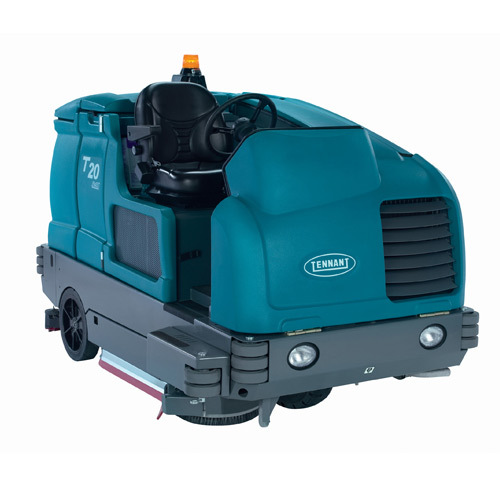 The Tennant T20 Industrial Rider Scrubber is our most popular Tennant rider. This machine has is all. The 80 gallon solution tank allows the operator to scrub for hours without refilling. It’s a smooth ride with the performance to exceed all expectations. The 95 gallon recovery tank has an easy access top that allows for easy maintenance. Wear parts are simple to replace and the debris tray is easy to remove and clean. 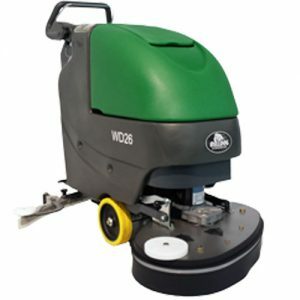 Increase productivity with this world class scrubber today.